Rebecca is an accredited executive coach. Having been a partner at the global law firm Baker & McKenzie for several years, Rebecca has first-hand experience of many of the challenges faced by professionals. She understands what is required to progress in a professional services firm. As an executive coach she has a particular interest in supporting professional women and coaching women towards leadership. Rebecca’s broader coaching interests include working with senior professionals who are looking to achieve their full potential in their business life. She focuses on building rapport and will follow her coachee's agenda, but also offer up her own experience where she believes it is relevant to, and useful for, the coachee. 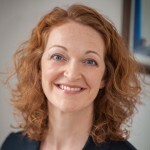 Rebecca is an AoEC Accredited Executive Coach and an Associate Member of the Association for Coaching (AC).